Each year during the annual Canadian Aboriginal Festival in Ontario, Turtle Concepts hosts a fashion show to highlight First Nations fashion designers. 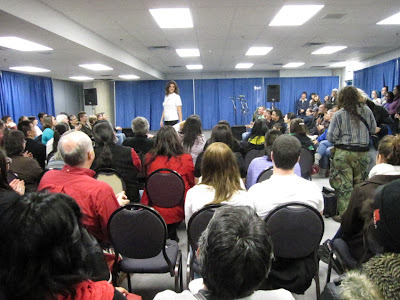 I attended the latest event, held November 26-28, 2010 in Hamilton. The show featured various local designers and t-shirt companies (who also had booths where they sold their gear during the festival). 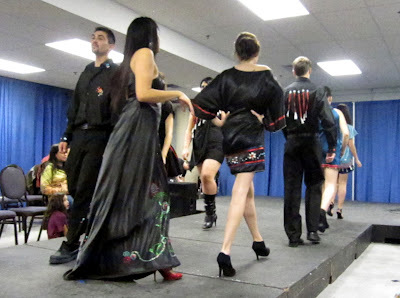 Headed up by Dave Jones of the Garden River First Nation, Turtle Concepts has hosted the Fashion Pavilion at the Canadian Aboriginal Festival for over a decade. Through his company, Jones seeks to bring a healthier image to the runway by introducing different standards to the model industry – standards that are centered on confidence-building and boosting self-esteem. 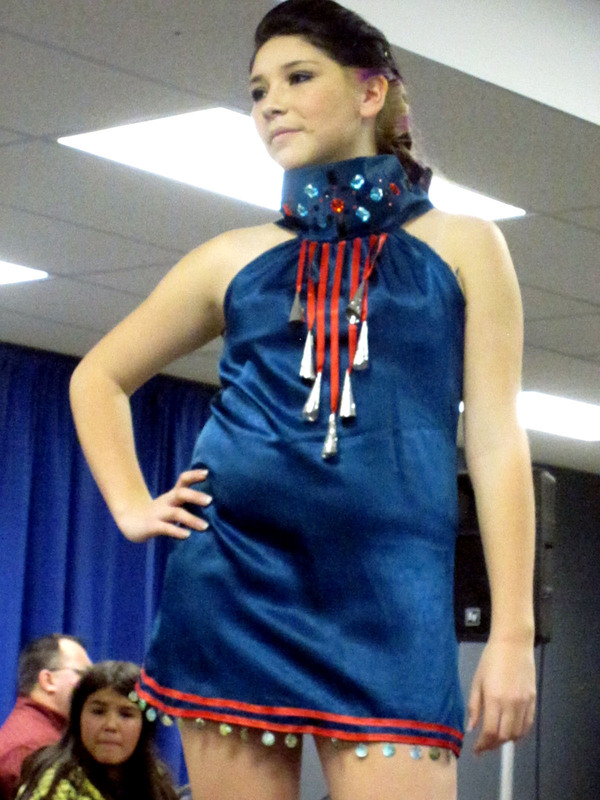 The Turtle Concepts show, titled “Confidence Meets Fashion,” presents models of all shapes and in various shades of brown wearing garments made by top First Nations fashion designers. 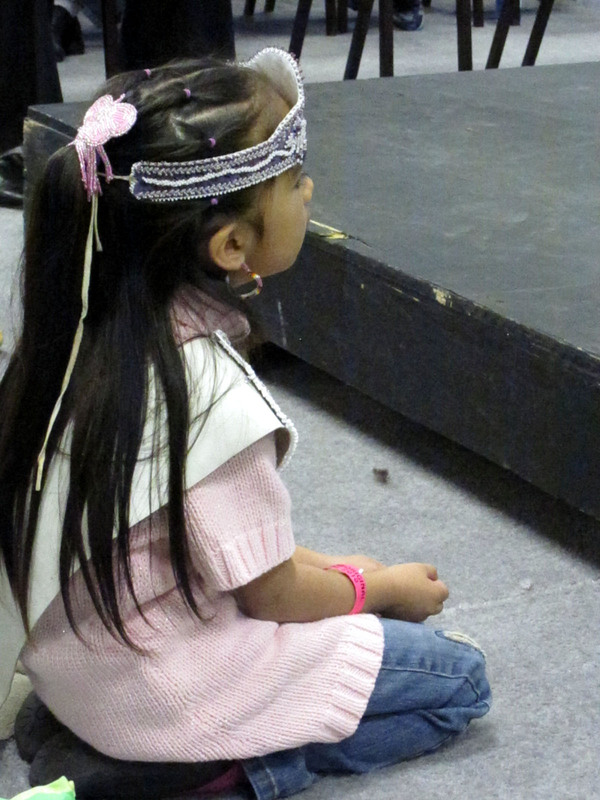 To date, over 700 Aboriginal youth have modeled at the Festival. For the Aboriginal teenagers participating, Jones explains, this is not about fashion; it is about opportunities, gaining confidence and demonstrating it publicly, and experiencing expanded options for life. Stay tuned for Round 2, featuring the designs of Bruno Henry and Ronald Everett. Find Turtle Concepts on Facebook by clicking here. Wow they really did mean ALL shapes and sizes! I love reading this blog keep it up.